Since 2005, Little Green House has consistently won numerous awards and accolades in providing a safe and nurturing environment with a well-rounded curriculum that equips children with the right knowledge, skills and attitudes – thereby preparing for their future journey in primary school. 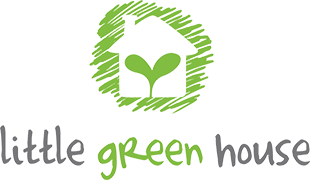 At Little Green House, our infants are well looked after by experienced and qualified infant educarers who take care of your child’s feeding, napping, and developmental needs. Your child explores the surroundings, aided by classic toys, musical instruments, textural materials and specialised baby gym equipment under the watchful eyes of our educarers in an environment that is designed with the highest possible level of safety in mind and provides opportunities for sensory, cognitive, creative, social and emotional stimulation during your child’s crucial growing months. Our infant care development framework covers Multi-Sensory Learning, Thematic Discovery, Music & Stories, Motor Skills Development and Self Exploration infused into daily schedules for infants. At Little Green House, we know how separation anxiety for children can be unsettling for their first time away from home and family, which is why our children spend a large part of their day interacting with their teachers and friends in a creative and literacy rich environment. Our award-winning Literacy SMART programme includes stories, art lessons, music, rhymes, dance, games, daily book readings, and conversational skills in complete sentences. In addition, all playgroup children will be exposed to a selection of books from a good range of titles from our reading corner at regular cycles. By the age of 3 to 4 years old, Little Green House children are exposed to the foundation steps of our award winning Literacy SMART programme covering daily story reading, nursery rhymes with songs and dance, teacher modelling and daily communications in complete sentences. Our curriculum guides and groom young eager learners into fluent readers, confident speakers and budding writers through daily class/group participation, speaking and writing practices on notes, reflections, individual or class stories. By the age of 5 to 6 years old, Little Green House children have developed better social skills and proficiency in using both English and Mother Tongue Language for daily communication. Under our award winning Literacy SMART curriculum, children will be issued a reading passport to write their reflections from various titles available from National Library Board (NLB) and centre-library resources, spelling bee challenges, show and tell opportunities through themes and activities that polish their competency in reading, writing and speaking to prepare them for the formative lessons and structure in Primary School Education. We nurture your child’s total development through a fusion of a strong academic curriculum, creative enrichment and hands-on activities. With a dedicated team of professional preschool teachers, we bring to light your child’s full intellectual, social, physical and creative potential. Copyright © 2015 Little Green House. All Rights Reserved.